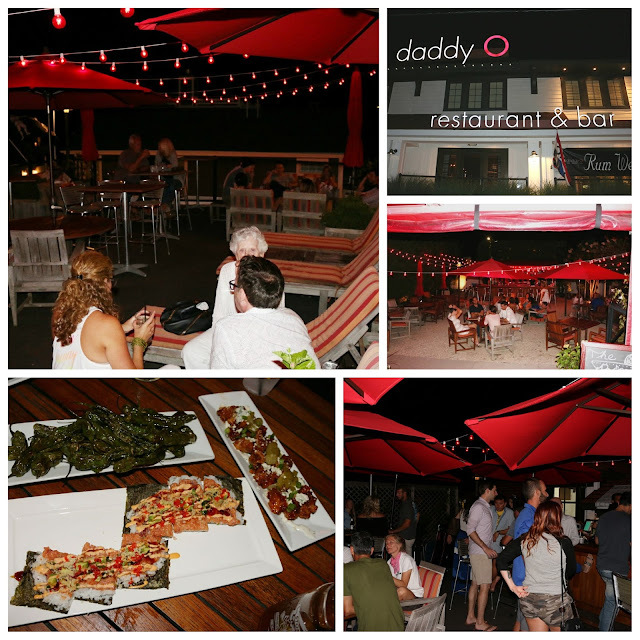 If you're looking for a boutique hotel experience coupled with a relaxed beach vibe, Daddy O LBI has got you covered. Sleek, well-designed, and with only 22 rooms, they clearly subscribe to the quality over quantity mentality. It's certainly not your typical sleepy overnight Long Beach Island spot. It houses a restaurant, outdoor dining, and a rooftop bar. All located just five doors down from Brant Beach! And for our first night on LBI, the GF and I stopped by to check out the rooftop bar. There was a great crowd when we arrived around 9PM, ranging from well-heeled patrons lounging on beach chairs to a bachelorette party enjoying a few shots by the bar. At most places, it's often a fine line between classy and pretentious or active and rowdy. But on the Friday night we stopped by, with the music pumping and friendly bartenders pouring drinks, everyone was clearly enjoying themselves at Daddy O's Rooftop Bar! The GF enjoyed the Coral marg, with the depth of the barrel-aged reposado balanced nicely by the brightness from the Licor 43, Citronage, and fresh citrus. I went Dark & Stormy - an easy quaffer with the spiciness of the ginger beer tempered by the sweetness from the dark rum. 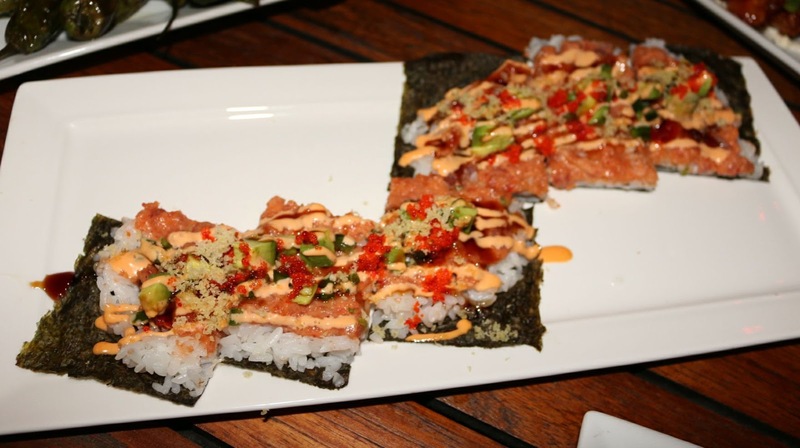 Noticing quite a few specialty sushi rolls on the menu, we started off with the sushi pizza. What exactly is sushi pizza? 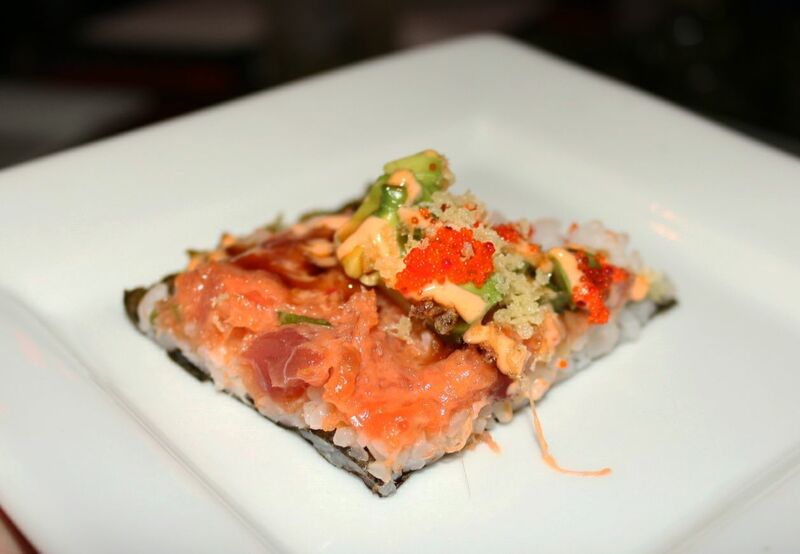 Think open-faced spicy tuna roll. You've got crusty, sticky rice and nori as the base. This is then topped with a nice melange of spicy tuna and aioli, salty sweet tobiko, and creamy avocado, with some bite from the scallions and texture from the tempura. Light, fresh, and easy to enjoy as a late night snack. The GF's a sucker for boneless wings so we had to try these. With a tempered hit of spice, the sticky, sweet Thai sauce glazed the crispy chicken wings. The candied celery was a home run and was balanced by the funk of the Maytag Blue. 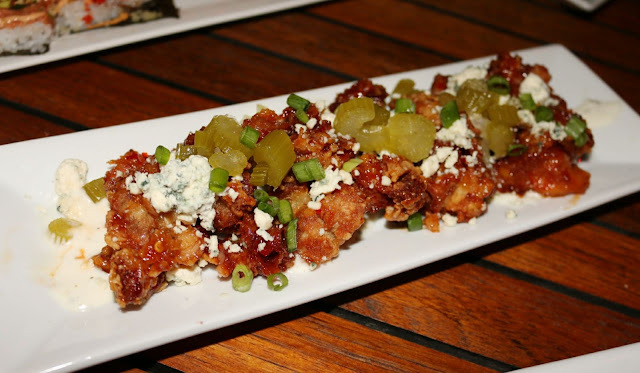 Easy to see these being a bar favorite. Shishitos aren't the most photogenic, but they're always satisfying. With a bit of salt and white soy, the smokiness of the shishito peppers make for an addictive summer snack. And they say about one in twenty are spicy so that's always a fun game to play, especially with a few good drinks in hand. So if you've ever wondered what LBI has to offer at night, Daddy O has your answer. 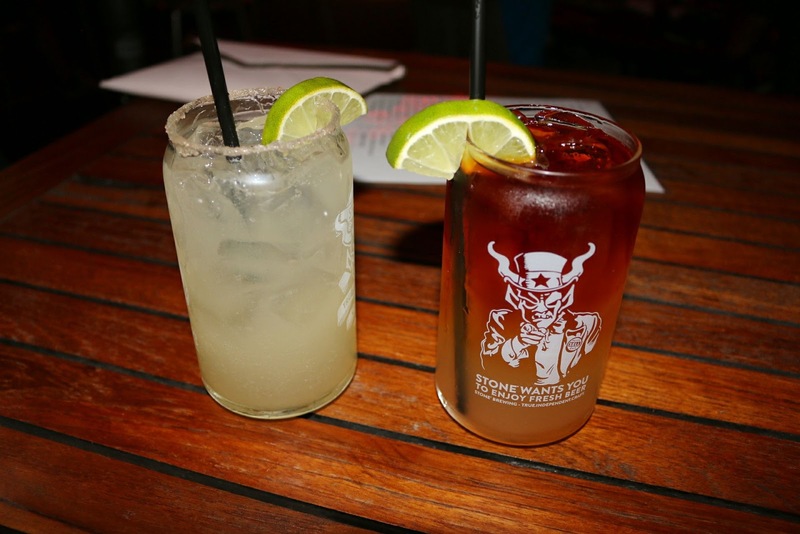 Head to their rooftop bar and enjoy the sea breeze with some rum or a few margs. It'll be the perfect nightcap to a long day at the beach. FTC Disclaimer: Thanks to the Fearless Restaurants team and Daddy O for hosting us. Regardless, my opinions are mine alone and, therefore, unbiased.